The Narconon program has from the beginning been founded on key principles developed by author and humanitarian L. Ron Hubbard. The keynote is that an individual is responsible for his own condition and that anyone can improve his condition if he is given a workable way to do so. It is based on improved understanding of his fundamental nature: that man is basically good and it is pain, suffering, and loss that lead him astray. In the early ’60s, Mr. Hubbard was one of the first to see the long-term consequences of the accelerating drug culture. He responded warmly to William Benitez’s request for help with his fledgling Narconon program in Arizona State Prison and continued to write up his observations on the effects of drugs on the individual person, his body, and the society as a whole. The Narconon program from its inception promoted an approach to rehabilitation without recourse to alternative drugs. This early program did not, however, deal directly with withdrawal symptoms and difficulties. In 1973, after Mr. Hubbard had conducted further research to aid Narconon staff to help others through the difficulties of withdrawal discomfort safely and with minimal discomfort, the Narconon program adopted these procedures to include drug-free withdrawal, using vitamins and mineral supplements along with special techniques to ease the mental and physical symptoms. Another truly pioneering innovation researched by Mr. Hubbard was adopted in 1978 known as the Narconon® New Life Detoxification Program. This tissue-cleansing regimen of specific vitamin/mineral therapy with cardiovascular exercise, intensive sweating in low heat saunas, adequate replacement of fluids and oils, has become immensely valuable for reducing the long-term physical and mental effects of drug residuals on people who have taken drugs. Mr. Hubbard noted the scientific evidence behind the accumulation of drug and other toxic residuals in the human body. He postulated the influence that these psychoactive toxins might have subliminally and overtly on the mind and person and developed a safe, healthy, and thorough method of cleansing the human body of the actual drug residuals. With this Narconon® New Life Detoxification Program students regularly report a remarkable increase in clarity of thinking, peace of mind, and well being. It also greatly reduces or eliminates cravings for drugs that stem from hidden drug toxins. More than three decades of scientific studies and follow-up have validated the theory and practice of this remarkable procedure. L. Ron Hubbard’s innovations to the Narconon program continued through the years, always designed to facilitate a stable, drug-free life for individuals. 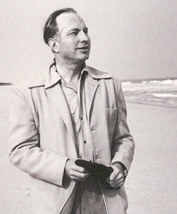 reproduce selections from the copyrighted works of L. Ron Hubbard.